Barron Smith Daugert, PLLC has been ranked one of the 2011-2018 Best Law Firms by U.S. News - Best Lawyers® Trust and Estate Law, Seattle-Tier 1. Andy consults with people and drafts estate planning documents, such as wills, revocable trusts, powers of attorney and health care directives, so that the client’s estate will be managed according to their intent. Andy listens to understand the client’s individual circumstances so a plan can be developed to achieve simplicity, protection, and the preservation of family relationships. A significant part of Andy’s practice includes assisting individuals in understanding and addressing the tax considerations that arise in connection with estate planning, as well as asset protection concerns and business succession planning. These issues are sometimes addressed through intra-family gifting strategies, trusts, written agreements and the use of business entities. 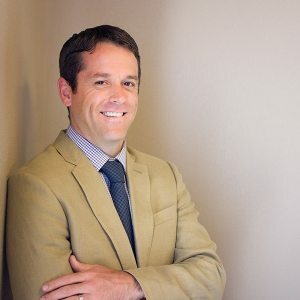 Andy often speaks at continuing education seminars through the WSBA and other organizations on topics such as estate planning, probate, and guardianships. Named a Rising Star by SuperLawyers for the years 2012-2017.